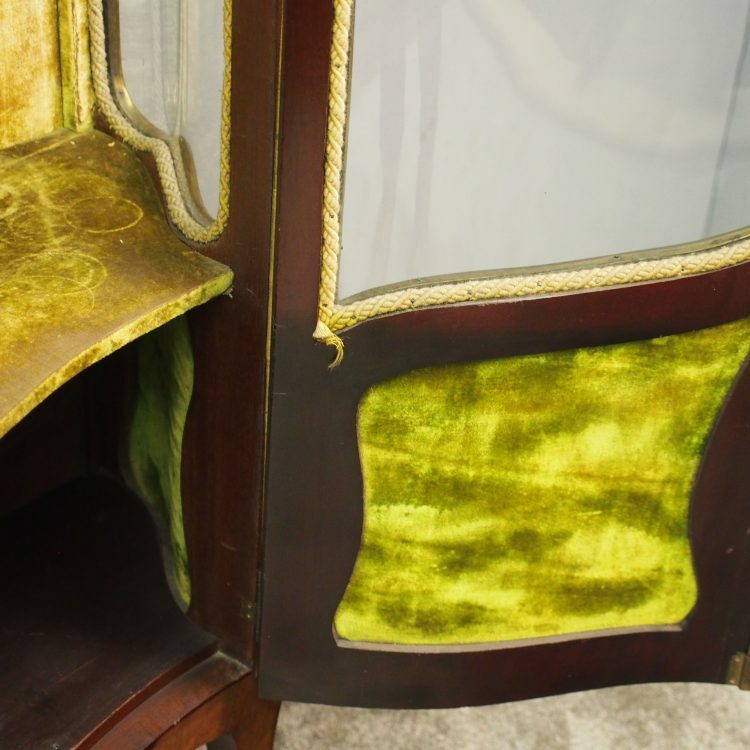 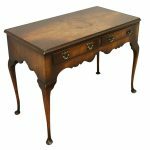 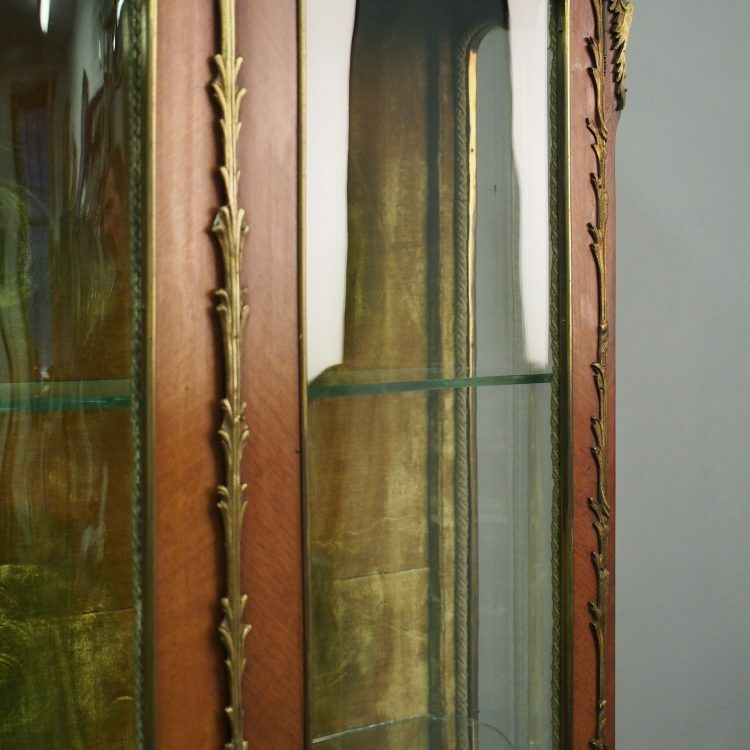 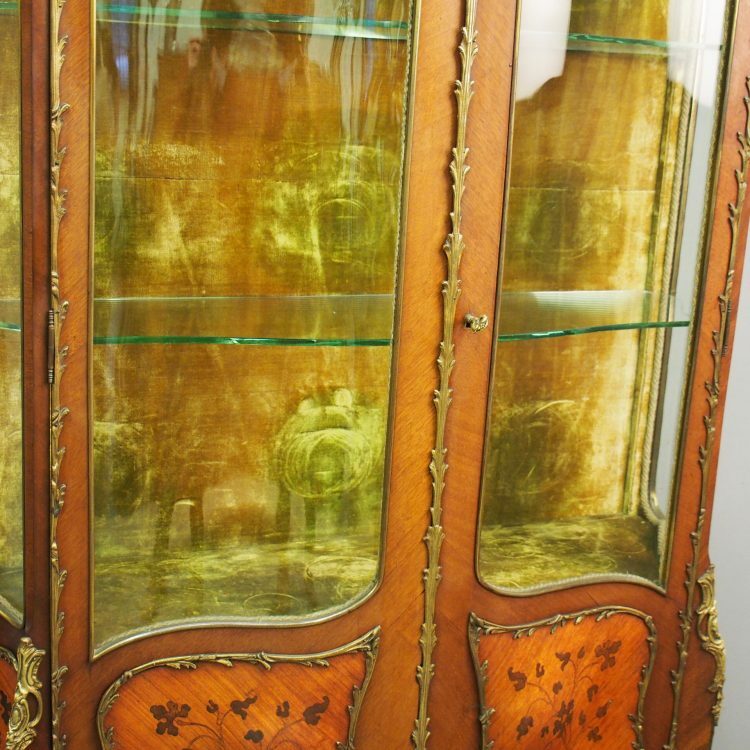 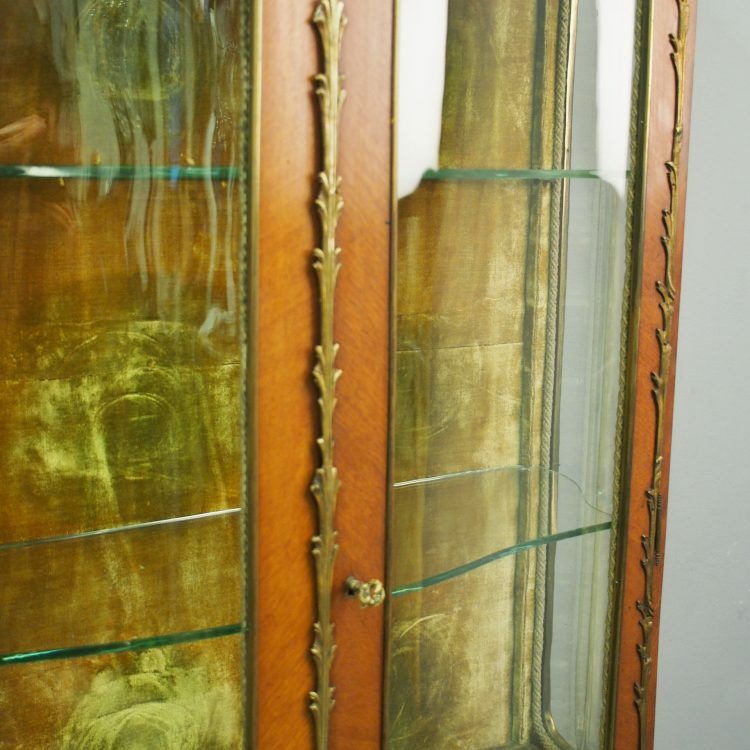 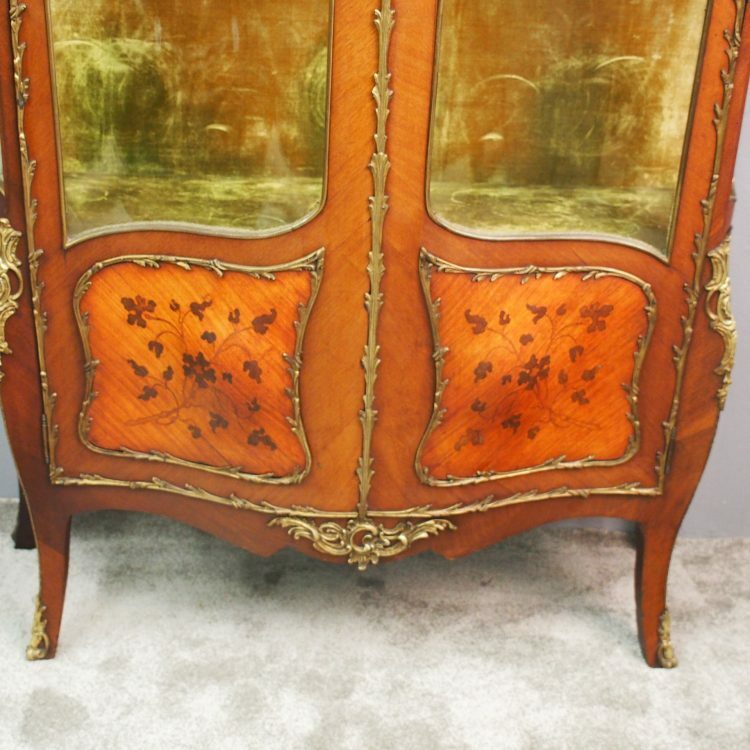 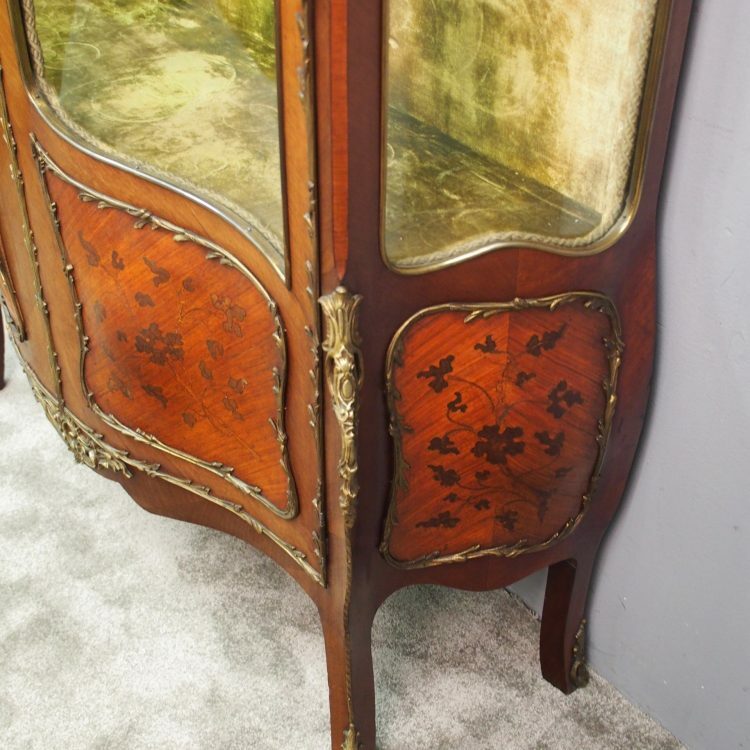 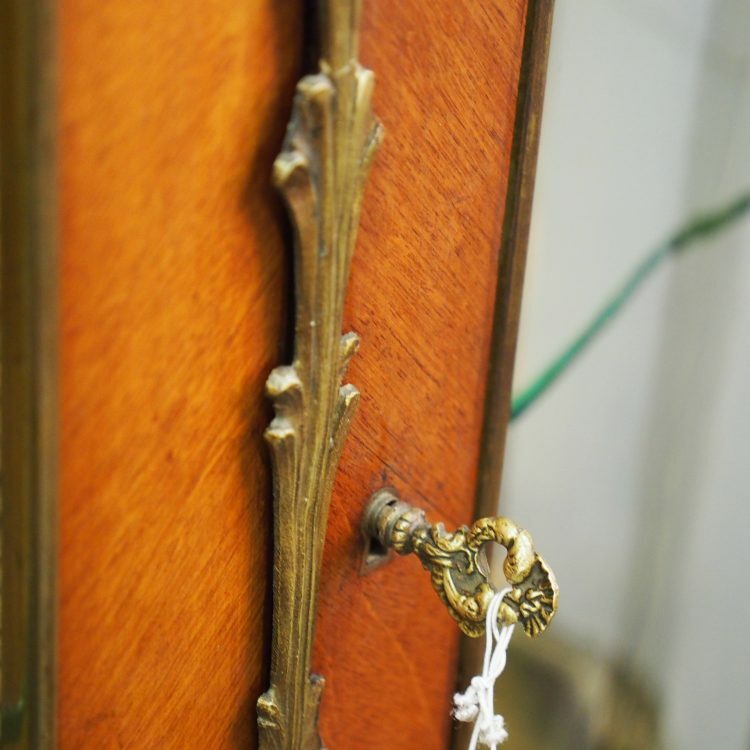 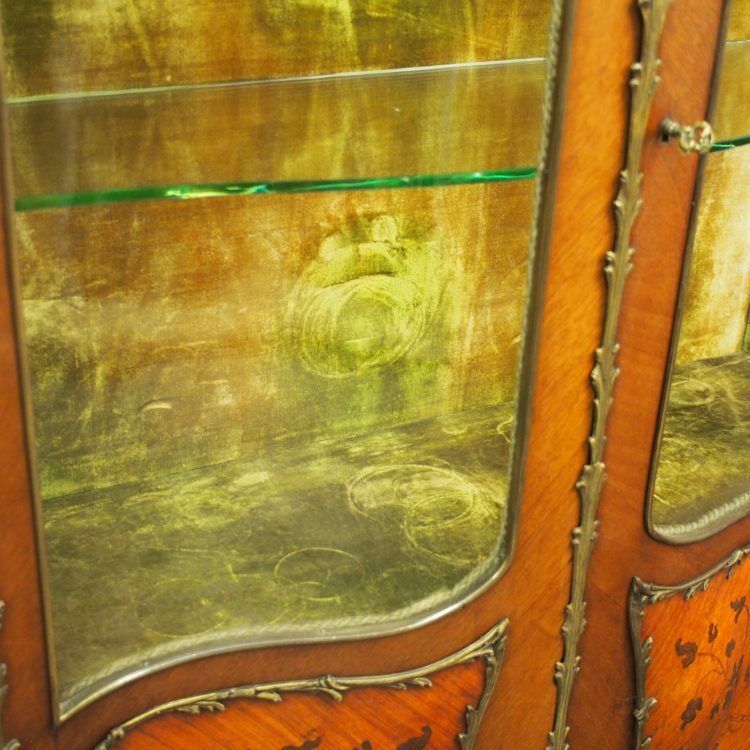 Circa 1860, French, serpentine-fronted, ormolu mounted kingwood and walnut display cabinet. 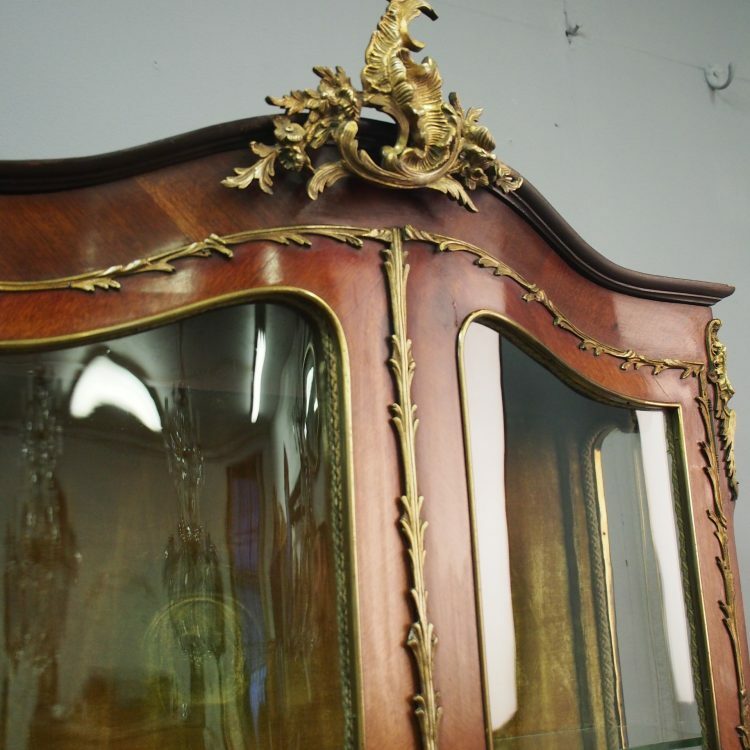 The domed top is surmounted by a rococo ormolu cartouche over an ormolu mounted side glazing and the doors show the velvet-lined interior with glazed shelving. 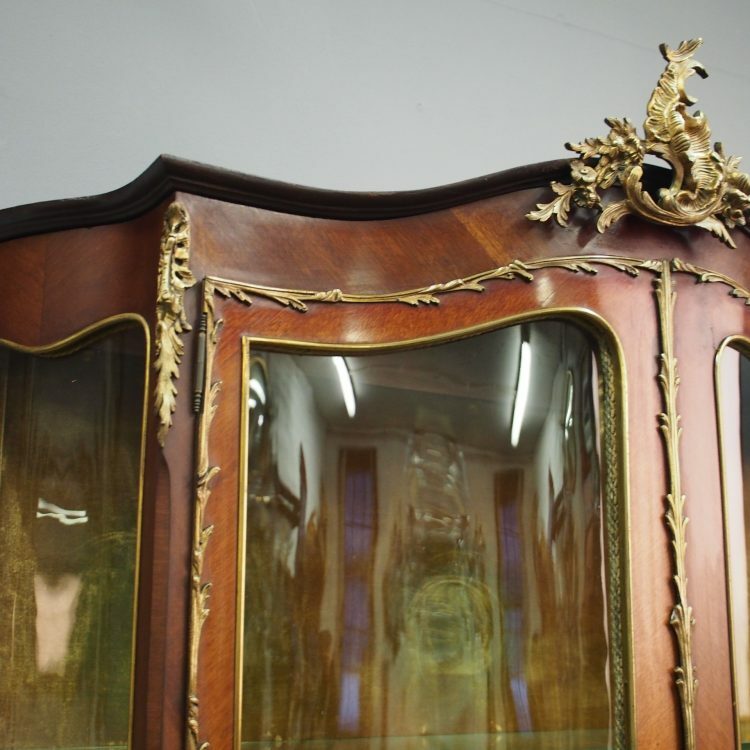 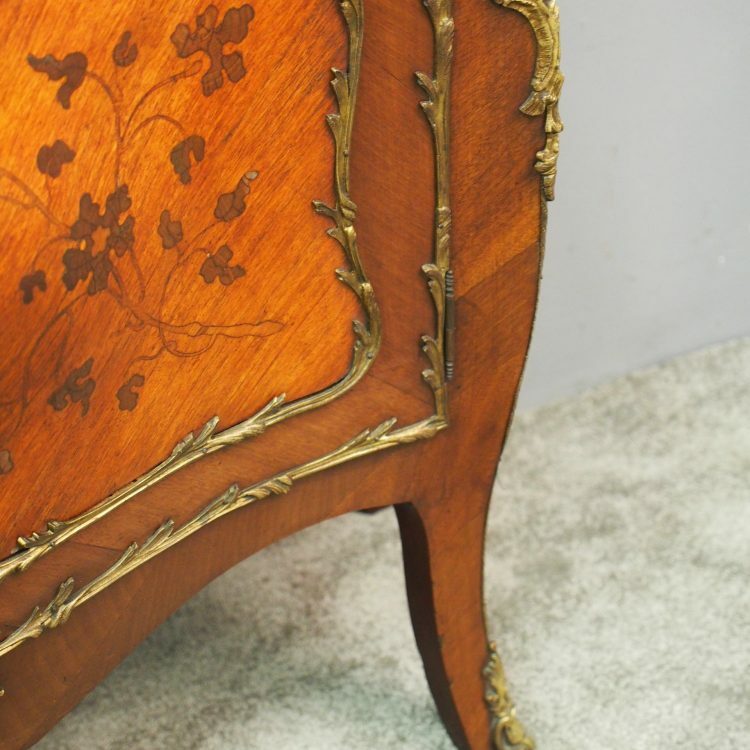 The lower part has marquetry inlaid bombe panels above a shaped ormolu mounted apron, and supported on cabriole legs with ormolu caryatid mounts and sabots. 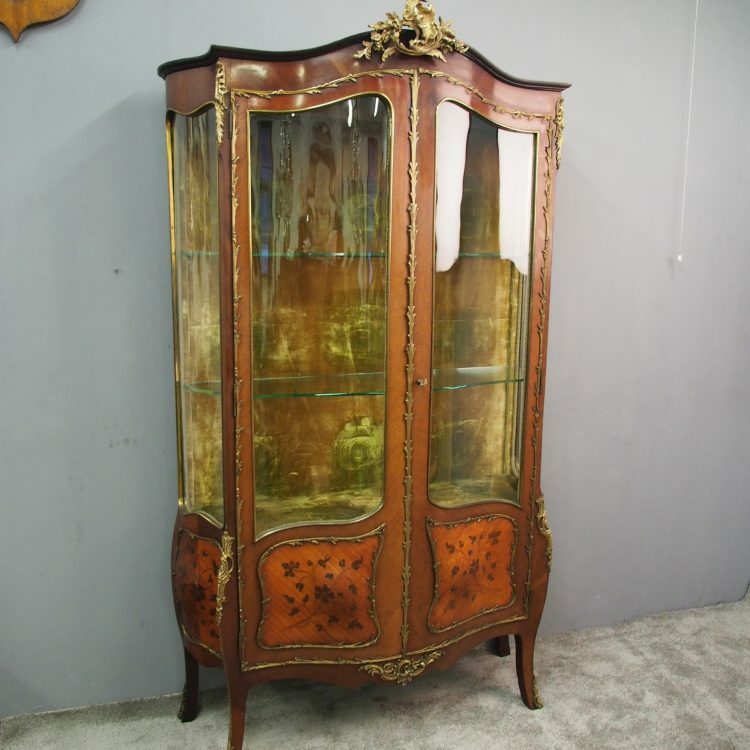 Size 210 cm high x 120 cm wide x 40 cm deep.